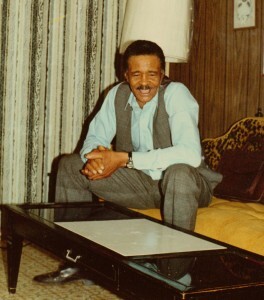 Introducing my Grandfather, Mr. Hartie Blake, Sr. (Feb 14, 1909 – Apr 1, 2012) – 103 Years Old! My grandfather passed away last week and I flew home to attend the services. Below are a few excerpts from his obituary. Just a quick heads up – my grandfather was AWESOME and took the instructions to “be fruitful and increase in number” quite literally. He had 17 children. Yes, 17 children. First marriage, 4 children. Second marriage – to my Grandmother who is still alive and kicking – 13 children. Yes, my Grandmother had 13 children. FYI – just in case it wasn’t already clear, don’t mess with me, I rolls DEEP! "Crumb-snatchers and ankle-biters, every one of y'all"
Mr. Hartie Blake, Sr., 103 years old, entered into eternal rest at 8:30 am on Sunday, April 1, 2012 at his home. 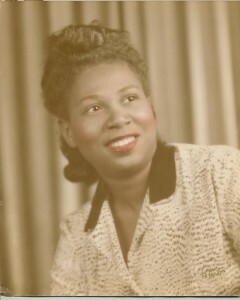 He was born on February 14, 1909 to the late Robert and Louella Avant in Como, Mississippi. On December 23, 1939, he was united in marriage to Louise (Owens) Blake, who survives. Mr. Blake moved to South Bend, Indiana, with his wife, Louise, and five children, in 1946. He retired from Allied Products at the age of 77 in 1987. Shortly after he retired he started his own lawn service and mowed lawns until the age of 100. Mr. Blake leaves to cherish his memory, his wife Louise, at home; six sons, 10 daughters, 51 grandchildren, 86 great grandchildren and 10 great-great grandchildren. Along with his parents he was also preceded in death by one daughter, 9 siblings, a grandson and a great grandson. Mr. Blake loved the Lord and it was reflected in his daily living. His secret to longevity was daily talks with the “Man Upstairs” reading the Bible and staying away from doctors. Mr. Blake loved being busy and was always on the move; on the first of the month he would drive what he called “old people” around to take care of their business. He enjoyed gardening, and yard work. He stopped driving and shoveling snow at the age of 99. White Hat. Check. Black Suit. Check. Original Swag. Check. My Grandpa! Loved this post about your grandfather Crescent! Great to see his memory living on. April 9, 2012 @ 9:54 am Henry Davis, Jr. I dig the tribute! Original SWAG! This is GREAT! I can’t believe Uncle Hartie and Aunt Louise were married for almost 73 years!!! Definitely something to strive for. Crescent: Great photos of your grandfather that were not in the paper. I am sorry I wasn’t in South Bend to see all of you and wish him off in style. He and your grandmother were quite the couple and I wish her well in the coming days. Hope you are good. Miss seeing you. Beautiful Crescent! Simply beautiful! Yes, your grandpa had SWAG indeed!!!! Thank you for sharing something so personal. He was truly a man who “LIVED”! He is a lucky man to have had live that long my grandfather died at age 77. I wish he was still here but i noe he is in a better place.. He will live on forever. How blessed to have such a huge family, huge heart, and huge swag. Yoooo…the white hat is POPPIN! Love the advice on staying away from doctors! 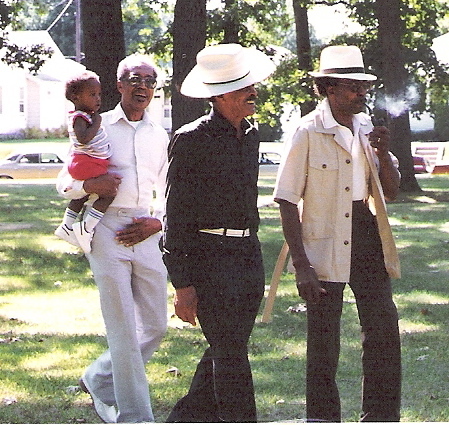 Why oh why aren’t today’s men as sophisticated and concerned with REAL swag like the brothas from back in the day??? Congrats Mr. Blake…enjoy your eternal vacation! Hey cousin, it was great meeting you at Grandpa’s home going. What an awesome tribute this is and I greatly enjoy seeing the pictures you inserted. Well done! Yo’ this is the best post yet! Thank you for sharing this with us! Such a blessing.